Following the death of her husband in 1993, Mary-Lloyd returned to Connecticut College in New London, Connecticut and graduated in 1995 with a Bachelor of Arts degree in American History. Prior to that time she worked in her family real estate appraisal business and kept busy with her three teenagers - Jeffrey, Stephen and Lisa. Mary-Lloyd’s life soon took another turn, and in December of 1998 she was ordained to the Diaconate at Christ Church Cathedral in Hartford, Connecticut by Bishop Andrew Smith. Her first assignment was to this Little Stone Church by the Sea in the Boro of Stonington. 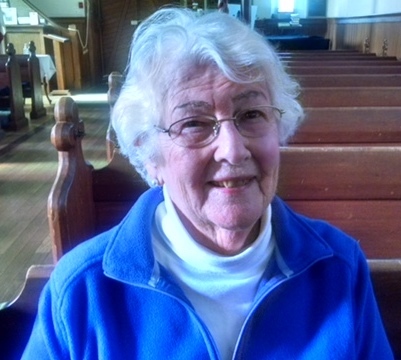 Mary-Lloyd was quite surprised, if not a little disappointed, that she was not going to be working in a parish closer to where she was living in Old Saybrook, Connecticut, but she began work at Calvary and settled into the Boro. Mary-Lloyd soon realized that Bishop Smith had made a very wise choice. Mary-Lloyd's six-year tenure at Calvary was followed by a reassignment to St. John’s in Essex. Her work at both parishes included participation in the liturgy, in a variety of outreach programs and in pastoral care. In 2010 she made the decision not to accept another assignment and returned to Calvary as Deacon Emeritus. It was the parish she called home. In her new role, Mary-Lloyd participates “as needed and available” and is truly blessed to be a part of the Calvary Family.